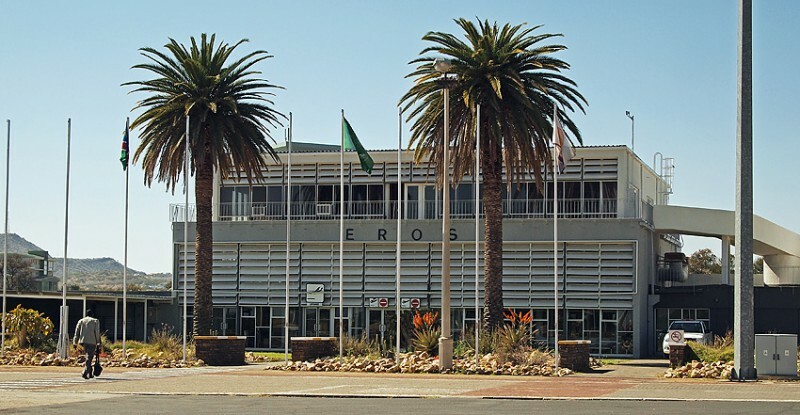 Eros Airport is the city airport of Windhoek. It is found just south of the city surrounded by the “Southern Industrial” in the north, residential areas in the west and east and another industrial area in the south. The airport is at 1700 m above sea level. It has a runway 01/19 with a length of 2230 meters and a runway 09/27 with a length of 1005 meters. I do not know when flying started here but the airport was here when the second World War ended. 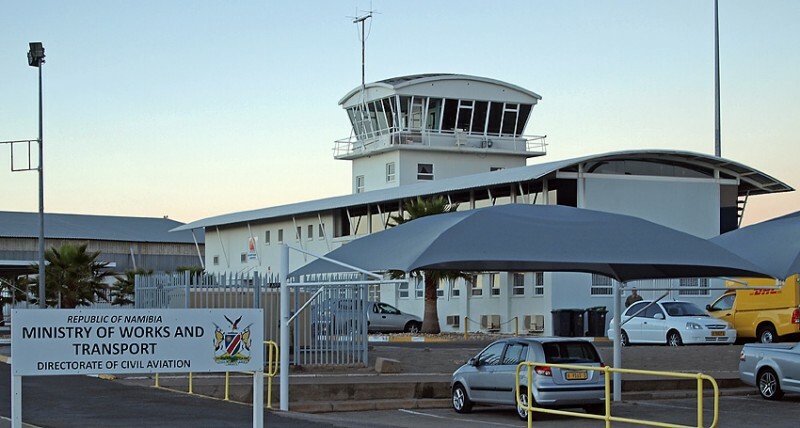 It is today Namibias busiest airport in terms of aircraft movements. It is Namibia’s hub for general and leisure aviation but also a hub for domestic flights to destinations such as Ondangwa, Walvis Bay, Luderitz, Katima Mulilo and Oranjemund. Air traffic control is provided from a modern tower northeast of where the two runways cross. 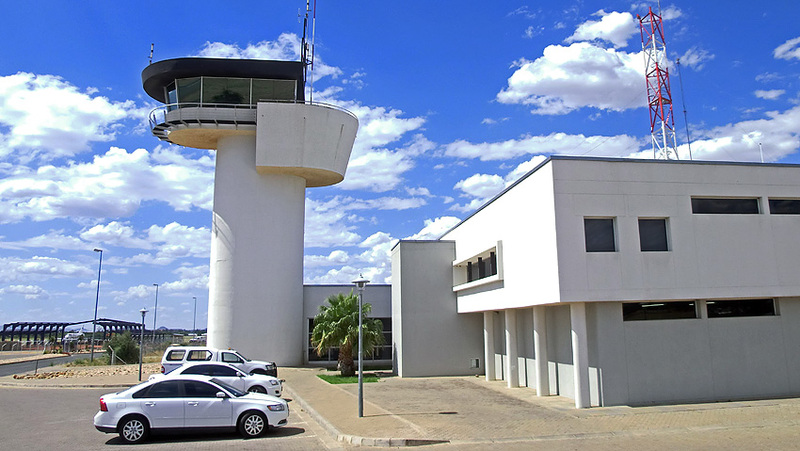 Next to the tower is the air traffic control center for approach and area control. …and like this from the “landside”. In the 1948 elections in South Africa the main Afrikaner nationalist party campaigned on a policy of apartheid. The National Party won the election and started introducing apartheid. They saw South Africa as divided into four distinct racial groups: white, black, coloured, and Indian. These groups were then further divided into thirteen nations or racial federations. The apartheid politics centred on the separation of these groups. The new politics influenced everything, including the architecture. 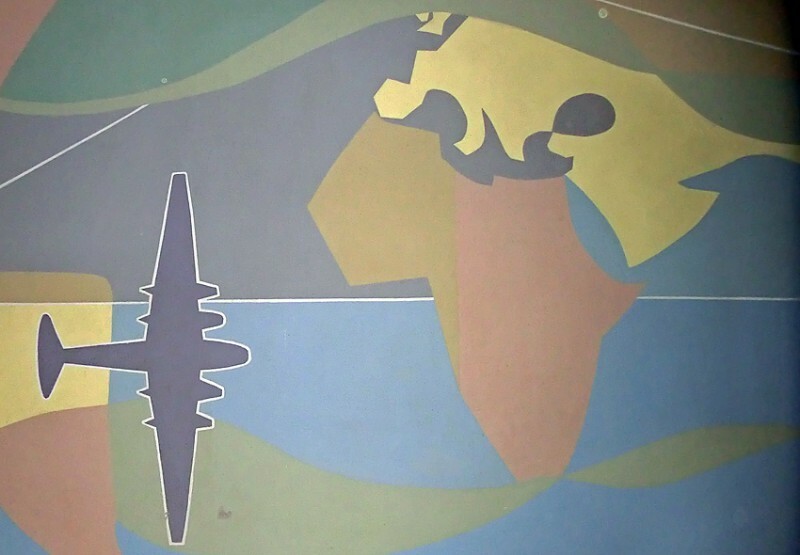 In these first years South African architects traveled to Brazil for inspiration from the Brazilian modernism. 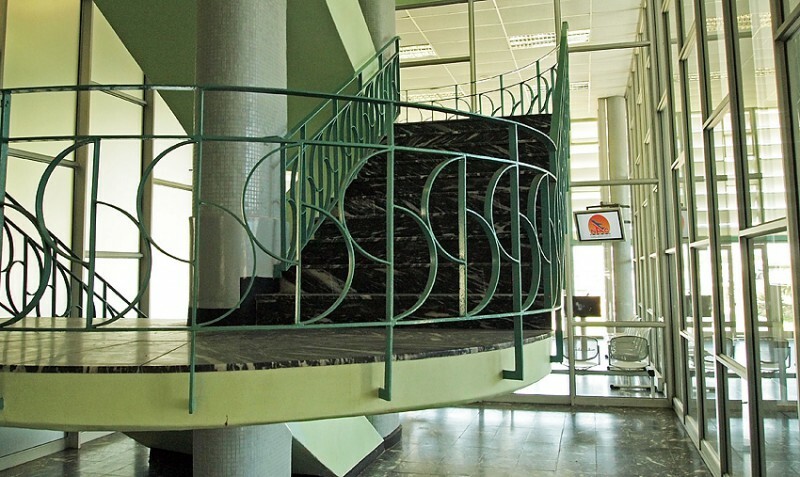 An example of architecture in the Brazilian mode and with apartheid ideas is the terminal building at Eros airport that was built in 1957. 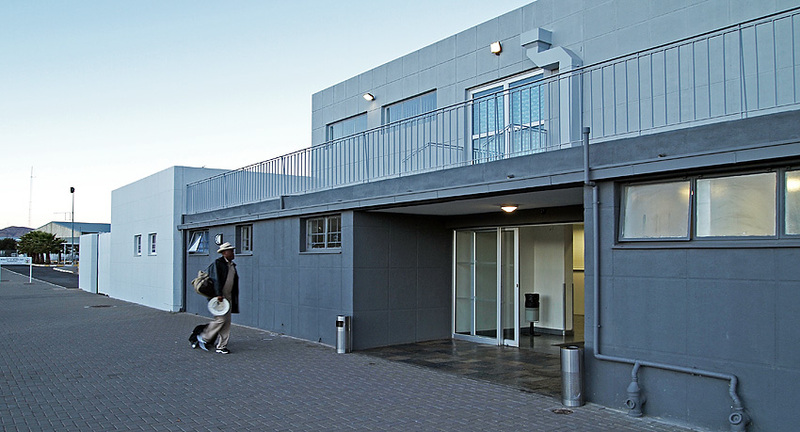 In the plans for the building it is clear how the building was divided into areas for “European” and “non-European”. Eros airport was called J.G. 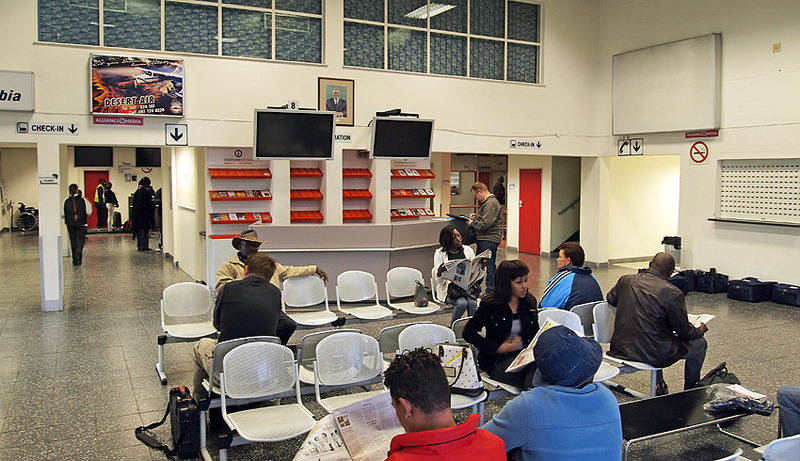 Strijdom. He was the South African Prime Minister between 1954 and 1958 and one of the strongest proponents for apartheid. Look at this old photograph of the terminal building and compare it with the photo below. The second floor has a big balcony, facing the apron and the airfield. Behind it was a large restaurant for “Europeans”. From the balcony is a long staircase to a large “promenade deck”. On the other side of the same building is another balcony that also had a restaurant. This side, facing from the airfield was for “non-Europeans”. The balcony is small with no view over the airfield and the restaurant was about one sixth in size compared to the other. Between the two restaurants was a common kitchen. The bottom floor has been rebuilt since those days. Today it looks like any modern terminal building on any small airport. 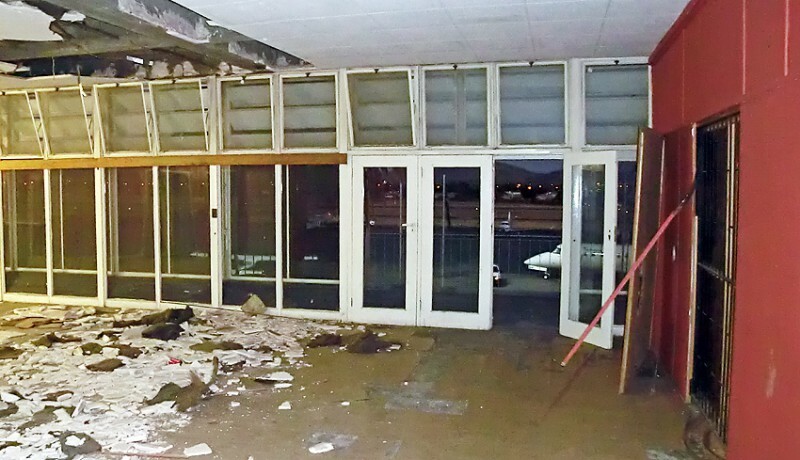 …and a chance to peek into the room that was once a modern restaurant with a bar and with a balcony overlooking the airfield and its departing and arriving aircraft. Today this all seems absurd and tragic. And when you consider the fact that the number of “non-European” passengers were close to zero you can’t but be amazed that the architects still incorporated duplicated and dedicated areas for all functions at the airport terminal building.